As a dog owner, you must be happy with your healthy disease free pet. Your pet is prone to many bacterial and viral diseases. Most of the diseases especially the viral diseases can be by regular vaccination against contagious and emerging diseases. To keep safe your pets from diseases, you must maintain a dog vaccination schedule by your vet. All the diseases are not available in all regions of the world. Your vet will study the prevalence of most common diseases and fix proper dog vaccination schedule for you. 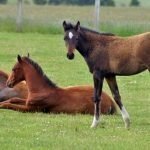 In my article, you get an idea about the diseases, which required vaccines and availability of vaccine preparation in the market. You will also have preliminary knowledge of vaccination failure in dogs. 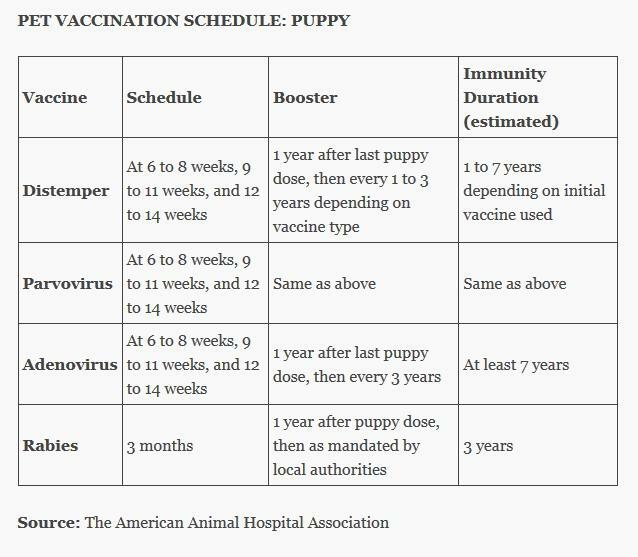 The dog vaccination schedule I have shown it is in general for all. 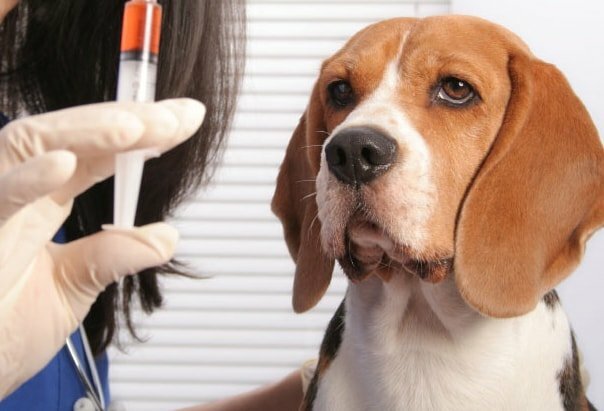 Which vaccines are given, and precisely when, varies between countries and according to local factors such as disease prevalence and husbandry system (for example, Dogs living individually might require a different vaccination regime from those in a colony). Always read the manufacturers recommendation, and consult with the manufacturer before deviating from their instruction. You must select a proper dog vaccination schedule to consult with your vet. The puppy gets maternal antibody for protection from various diseases. This maternal antibody protects them up to a certain age, and it ranges from 12 to 16 weeks. So before starting the dog vaccination schedule, you may check the maternal antibody status by examining serum antibody level. 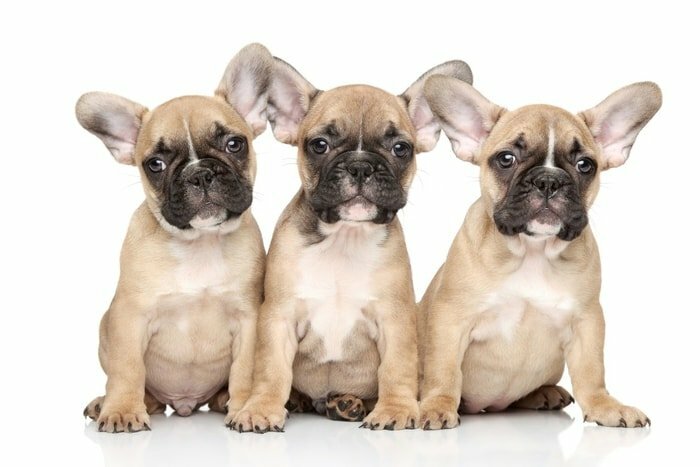 In general, you will start vaccination to your puppy at least 12 weeks of age. 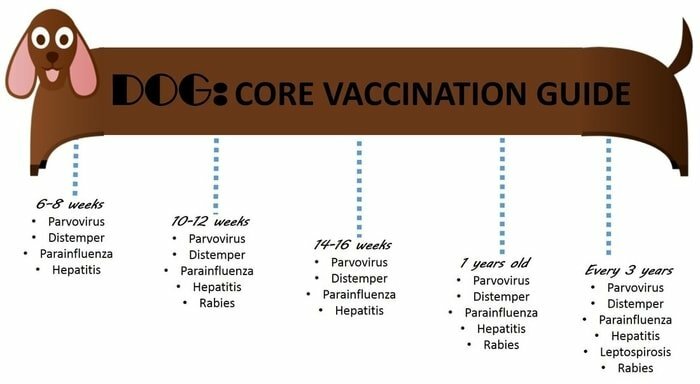 The following are the most common diseases required vaccination at various stages of your pet’s lifespan. Some vaccines give lifetime protection against the disease, and most of the cases required revaccinate yearly. Again some diseases required boosting after first vaccination. 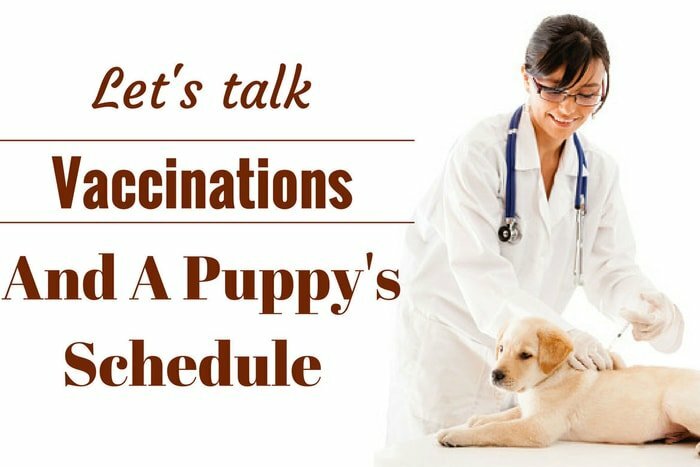 A complete dog vaccination schedule for your pet will fix by your vet. 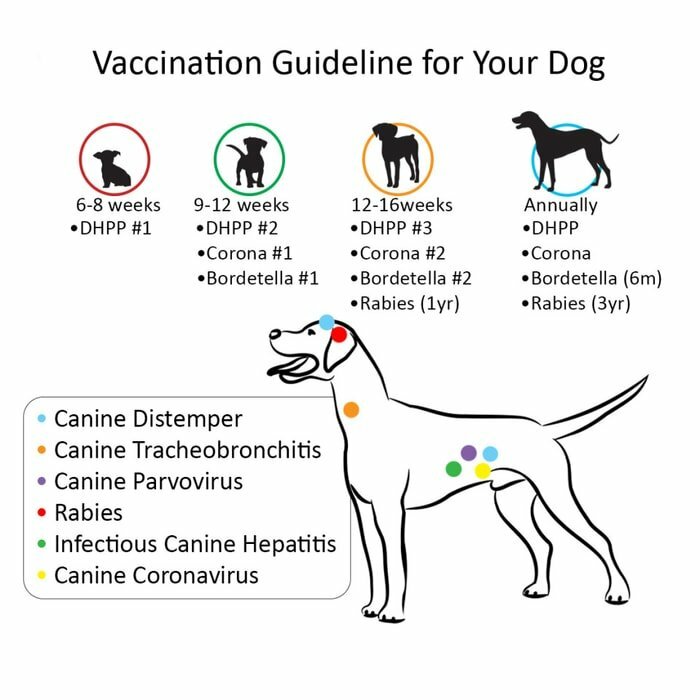 Though, I am giving a general guideline for your dog very common information for you: the age of first vaccination, the dose of vaccines, route of vaccination, the composition of vaccines and revaccination schedule. Another vaccine schedule is recommended for your dogs are given below. Incomplete attenuation of virus or bacterial components. Report the suspected cases to the manufacturer and or another appropriate body. Increased susceptivity to infection with the attenuated pathogen, e.g., a live vaccine given to a very young or immunosuppressed animal. The vaccine provided by the wrong route,e.g., A live systemic vaccine is given orally. Animal infected and incubated disease at the time of vaccination. It is normal for some live vaccines to provoke mild clinical signs, e.g.injections of many live vaccines gives rise to mild systemic clinical symptoms such as depression, lethargy, and inappetence, generally lasting only 24h. These are usually due to an inappropriate response to the adjuvant and particular adjuvant-antigen combination. Mild skin reactions at the site of subcutaneous injection-most common generalized hypersensitivity reactions- rare. Faulty(non-potent) vaccine- Uncommon, but possible. Report suspected cases to the manufacturer and or another appropriate body. Incorrect storage of vaccine: a likely cause of non-potency. Do not use vaccines after their recommended use-by date, and always store them according to the manufacturer’s instructions. 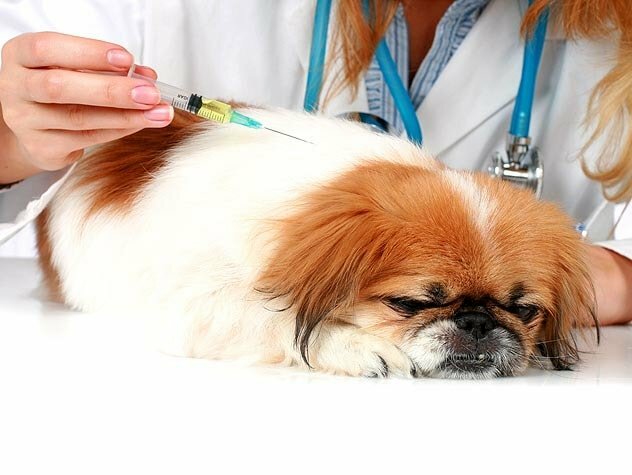 Live vaccines, especially canine distemper virus vaccines, are particularly liable to loss of potency if stored incorrectly. Incorrect administration of vaccine: Usually the result of the injection of an inadequate dose of vaccine. Inhibition of vaccination by the maternally-derived antibody a common cause of apparent vaccine failure in young animals. 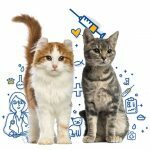 If the last vaccine dose is given before the puppy or kitten is 12 weeks old, or if the animal has unusually high MDA, vaccination may not provide active immunity and protection. Intercurrent disease or immunosuppression: Either at the time of vaccination or later. Infection with different organisms or strains from those contains in the vaccines. Overwhelming infection. If the challenge with the infective agents is great enough, then a vaccinated dog may still develop the disease. The chance of such high challenge under field conditions is low but more likely in, that is puppy farms, with high population densities and inadequate hygiene. You must vaccinate your dog when he is in rest, in a calm and quiet environment and avoid exercise up to 6 hours after vaccination. There may be some little problems may arise in your dog like local itching or allergic reaction, redness in the site of injection and some cases rise of body temperature ½ degree Celsius. These are very minute problems, and your pups will recover automatically.